This is simple science you can really get into… Kids love to explore with the senses, and we have been introducing science activities you can even explore with your sense of taste. 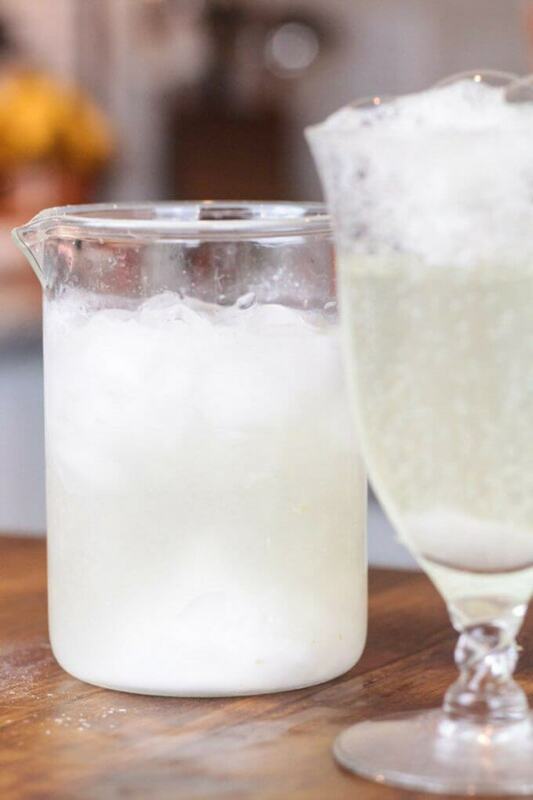 Our fizzy lemonade science project is perfect for summer. So let the kids explore this fizzy chemical reaction with their tongues too. Homemade science is the way to go! EDIBLE SCIENCE = SUMMER FUN! Is there anything more refreshing than a glass of cold lemonade on a hot summer’s day? But do you know what makes it even more fun? Bubbles! Kids can learn how to make their own fizzing lemonade in this super fun fizzing lemonade science experiment! It’s a fun mix of delicious, edible chemistry and fun! It’s the perfect science experiment for a hot summer day. WHY SHARE SCIENCE WITH KIDS? We love science because it encourages kids to question, wonder, explore, experiment, and all those great things! You want to spark their curiosity without creating tons of rules, so we love a bit of playful science too. You can check out all our kid’s science activities here, perfect for kids age 3-9! Exploring chemical reactions and chemistry is really one of our favorite ways to share science. There’s nothing better then a fizzy reaction. We know because we have lots of fizzy science to check out by clicking here. In fact we have an fizzing lemon volcano chemistry activity that’s a blast for the kids! 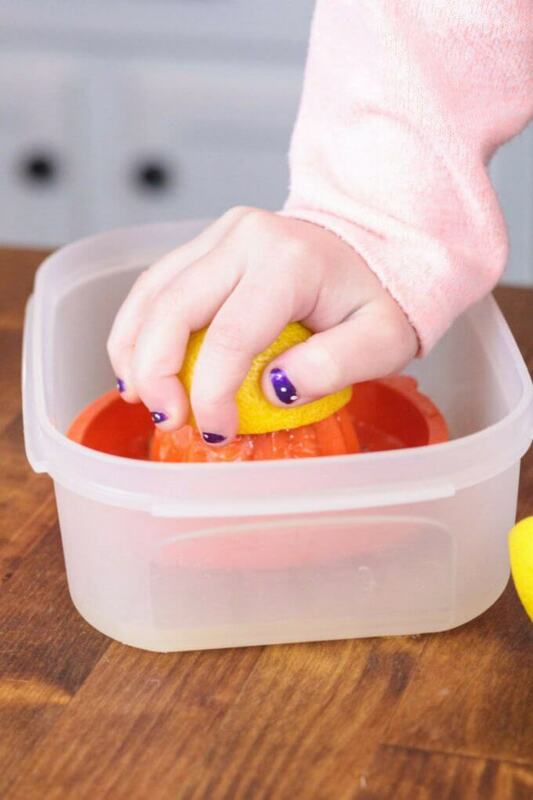 We also just made a lemon scented slime recipe, and of course we know slime is the perfect chemistry activity. Here’s what you will need to gather up for your fizzy lemonade edible science activity. Don’t you just love science in the kitchen? 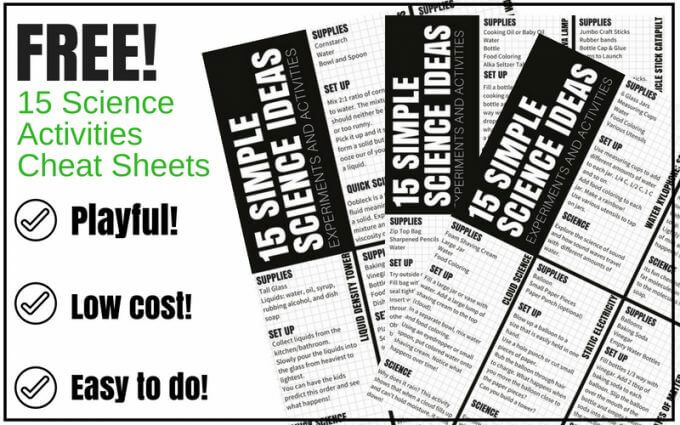 Below you will find FREE printable science experiment cheat sheets! First you will need to boil a couple cups of water on the stove. Adult supervision needed! Next add two tablespoons of sugar per glass of lemonade and stir to dissolve. Right here is awesome simple science making a sugar solution! Make sugar crystal rock candy too. Or explore which solids dissolve in water and which do not! Let the mixture cool once the sugar dissolves. Squeeze the lemon juice into the cup (it takes about one lemon per glass). Get your glasses ready, add ice to your freezer glass. No ice in the other glass. Next add the sugar water to the glass. Now for the fun part! Have the kids go ahead and add ¼ of a teaspoon of baking soda to each glass. 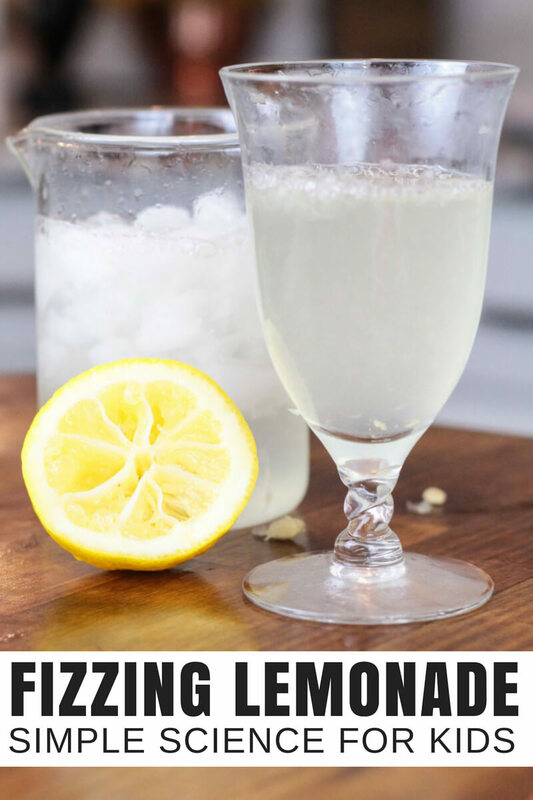 Check out the results and read up on this fizzy lemonade science project below! Encourage the kids to explore with all 5 senses! Can they see the fizz? How about feel the fizz? Listen quietly for the sound for the fizz? What does the fizzy lemonade taste like? 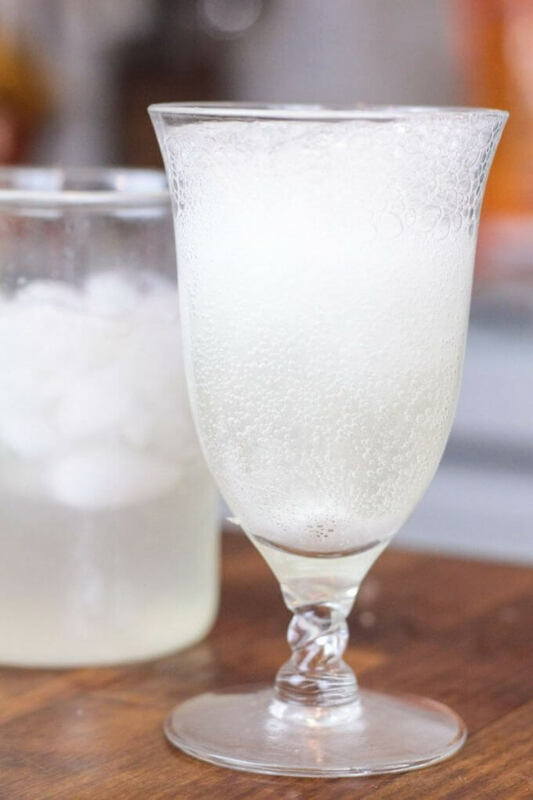 Does a cold glass fizz more than a warm glass? This is a great way to give your simple fizzing lemonade science project a twist and turn it into an experiment. This is the perfect opportunity for kids to use their junior scientist skills to make a prediction, form a hypothesis, conduct their tests, and use the data they have collected to come up with a conclusion. Learn more about the scientific method by clicking here. Make it an experiment and and grab two glasses. Pop one glass in the freezer to make it icy cold and leave the other one room temperature (add a 3rd where you keep it filled with warm water until you are ready). The warmer glass will fizz right away, while the icy glass will take longer to fizz. Lemons are highly acidic. Baking soda is an alkaline substance. When the two ingredients combine, they create a chemical reaction that gives off carbon dioxide gas (which is completely harmless!). 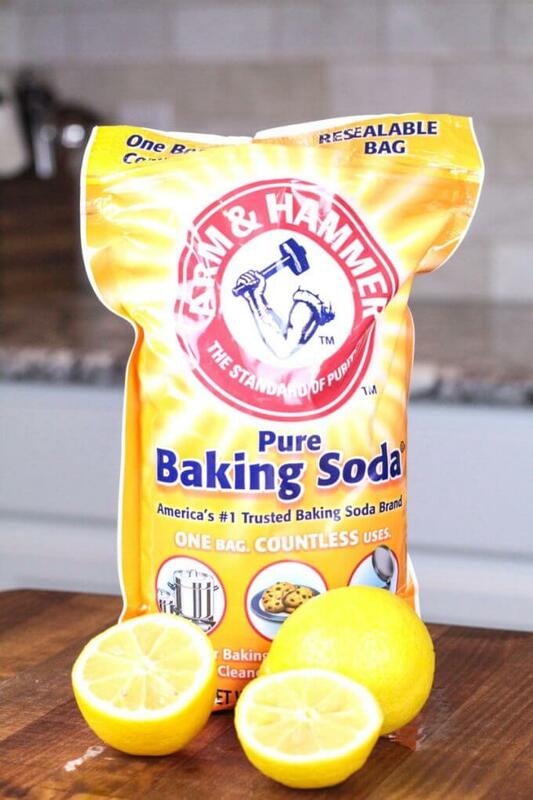 By adding just a small bit of baking soda to lemonade, it starts to bubble and fizz, without making the lemonade taste gross! In fact, you can’t even tell the baking soda is added, but the fizzing and popping makes it extra fun to drink! TASTY OUR FIZZY LEMONADE SCIENCE PROJECT AND YOU WILL BE HOOKED! No summer is complete without lemonade, so make some with a bit of science added to the recipe!